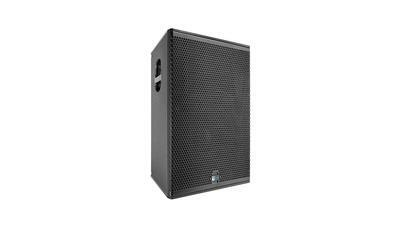 Drawing on technologies developed for the LEO Family line array systems, Meyer Sound has updated its popular and proven UPQ point source loudspeakers with a new class D amplifier, new on-board signal processing for optimized frequency and phase response, and a 13 pound overall weight reduction. The current UPQ-1P (80° x 50°) and UPQ-2P(50° x 50°) have been re-designated as, respectively, UPQ-D1 and UPQ-D2. A third variant, the UPQ-D3, offers a new 80° x 80° coverage option. All three variants retain the same exterior cabinet dimensions and rigging points as current UPQ models, allowing use of the same mounting and rigging accessories. All three new variants incorporate the same proven driver complement as the prior versions. The low frequency section relies on a 15-inch neodymium magnet cone driver while high frequencies are reproduced by a 4-inch diaphragm compression driver. Both drivers are manufactured at Meyer Sound’s Berkeley campus. The new two-channel class D amplifier is designed for high efficiency with reduced current draw, yet produces a total peak output power of 1800 watts. A new generation of phase-corrected signal processing results in flatter frequency and phase response for superior transient reproduction and precise imaging. The new input module provides loop-through XLR-F and XLR-M connectors for balanced audio, as well as parallel powerCON 20 AC line connectors. The optional RMS remote monitoring system module provides comprehensive monitoring of loudspeaker parameters from a host computer running Compass software. An optional XLR 5?pin connector is available to accommodate both balanced audio and RMS signals. Note that, due to significant changes in the internal cabinet structure, the new amplifier and processing module may not be retrofitted into current UPQ loudspeakers.